Every country has its Olympic specialties. You know the Canadians are going to field a strong men's and women's hockey team. Norway is going to crush in skiing. And the United States will own men's and women's snowboarding halfpipe (except for, you know, getting totally shutout on the men's side in 2014). In many cases, that success is because those countries have an interest in the sport. But, interest is still separate from success. For instance, though it's not a Winter Olympics example, the US is interested in soccer, but, uh... this happened. 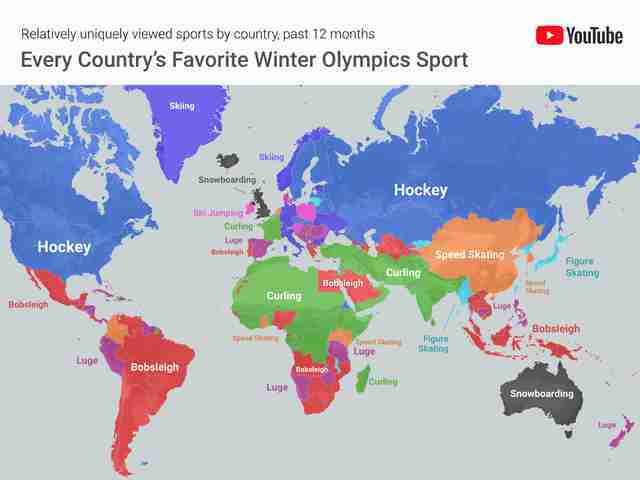 Google took a look at data from YouTube over the last year to determine which sports are the most popular in each country relative to the rest of the world. Unsurprisingly, hockey dominates in countries that are known for fielding a good national team annually (whether that's the Olympics, Men's and Women's IIHF World Championships, Women's Four Nations Cup, or World Junior Championships). Canada, the United States, Russia, Sweden, and Finland, among other nations, put hockey at the top of the list. Meanwhile, in the host country of South Korea, speed skating is 10x more popular than it is in the rest of the world. In Norway, which is the all-time medal count leader, skiing is winter sports royalty. 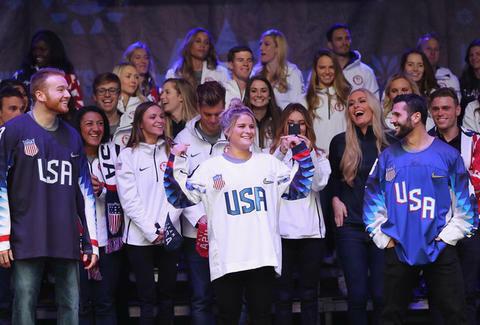 Check out the results for the rest of the world above, and get ready to binge snowy sports, because the Winter Games get underway on February 8.